It’s mostly a great time to be female in the military: All combat roles were recently opened to women, making officials reconsider male-driven titles (yeoman, yeowoman, yeoperson?). But to the top military officers who want women to register for the draft, that isn’t happening (yet). 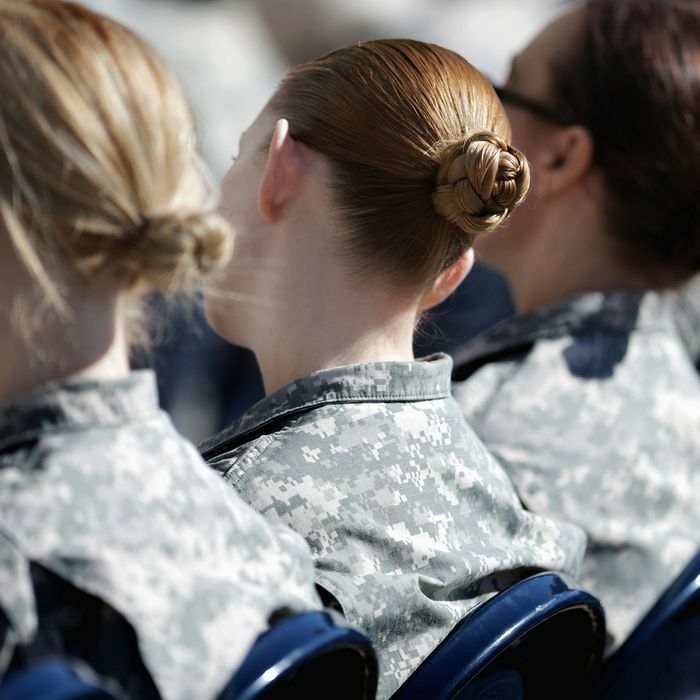 On Tuesday, House Republicans pulled a provision from an annual defense policy bill that would have required young women to register for a military draft like every 18-year-old American male. One GOP lawmaker called it a “reckless policy” requiring further study, while Democrats protested that Republicans were avoiding a vote on equality for women. If the draft requirement (set to start in January 2018) makes it through the Senate, it will go to a House-Senate conference committee. Right now the U.S. military recruits army men and women on a volunteer basis (the U.S. hasn’t had a draft since 1973, during the Vietnam War). Hoping it stays that way?